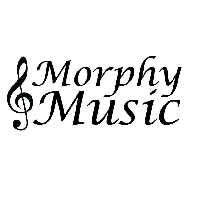 "A holistic approach that nurtures a lifelong love of music" is our philosophy at Morphy Music. From beginner to advanced, children and adults alike can share in the joy of music. Our educated and experienced teachers help students work towards their personal goals including completing exams, performing and participating in competitions and events. Our rates vary based on your teacher and lesson time. Please contact us to learn more or visit our website.